Childhood trauma is any experience that is very frightening or dangerous. The impact of trauma can be immediate, causing significant distress and behavioral changes, but it can also be long-lasting. Adults who experienced trauma as children are at a greater risk for a number of physical health conditions and mental illnesses, including post-traumatic stress disorder. 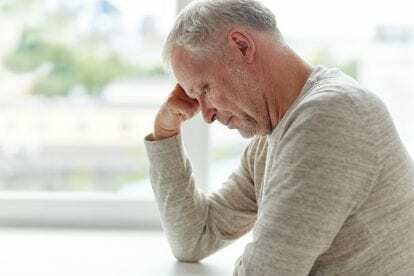 Any diagnosis of mental illness in adults should include screening for trauma so that past events can be processed and faced during treatment. Childhood trauma is a dangerous or frightening event that a child between the ages of infancy and 18 years of age experiences personally or witnesses. Trauma evokes strong, negative emotions as well as a physical response. It triggers the natural fight-or-flight response, which causes a person to either fight back or run away as a survival mechanism. A trauma does not necessarily cause lasting effects. In some children, though, the impact of one or more traumatic experiences can lead to child traumatic stress. This is a persistent reaction to the traumas that may include emotional distress, depression, anxiety, changes in behavior, difficulty developing healthy relationships, developmental issues, and physical symptoms like weight loss or pain. The repercussions can last for years and increase the risk of problems later in life, such as substance abuse or other risky behaviors. Childhood trauma is much more common than most people realize. By the age of 16, more than 66 percent of children have experienced at least one traumatic event. One survey of children between the ages of 12 and 17 found that eight percent had been sexually assaulted at least once, 17 percent had been physically assaulted, and 39 percent had witnessed violence. One in five students in high school has been bullied and one in six has experienced cyberbullying. Fifty-four percent of U.S. families have been impacted in some way by a disaster. According to the American Psychological Association, almost all children who experience trauma will have serious but short-term distress, and most will return to normal functioning. Most of the children who need professional help after trauma do not get psychological care. One study found that 18 percent of young people in the U.S. have lost at least one friend or family member to homicide. Sometimes trauma is obvious, such as when a child loses a parent or experiences a natural disaster. Other types of traumatic events may be more easily hidden, such as abuse or neglect. Regardless of the type of trauma or whether it is visible, a child’s negative reaction to it will result in observable symptoms. While some children will cope better than others, depending on individual factors and their level of support from adults, there are characteristic signs by age of child traumatic stress. It is normal for any child to have a troubling reaction to trauma, but with time he or she should return to typical functioning and behaviors. If they do not, a mental health professional needs to evaluate and diagnose the child. There are a few trauma-related mental illnesses that a child may be diagnosed with, including post-traumatic stress disorder (PTSD), acute stress disorder, adjustment disorder, or reactive attachment disorder. Even if a child cannot be diagnosed with one of these, evaluation by a professional is important for determining if they are coping or if they need treatment and support. In adults who are being screened for mental illness, many professionals will try to determine if there was any childhood trauma in the past. The diagnosis of PTSD, depression, or another mental illness may occur years after a traumatic experience and be a direct result of it. Evaluating for childhood trauma is an important part of diagnosing an adult with mental illness because that trauma will need to be addressed in treatment. The trauma itself is the cause of a poor reaction and lasting mental health issues, but exactly why some children will go on to have persistent challenges or later difficulties is not known. There are known risk factors, though, both for being more likely to experience trauma and for having a poor or persistent negative reaction to traumatic events. For instance, a child is more likely to experience trauma if he or she lives in a high-crime neighborhood or has a family member with a drug addiction or untreated mental illness. It is important to realize, though, that any child in any situation may experience trauma. Traumatic stress can easily lead to other mental health or substance abuse issues, especially if the trauma is not addressed or the child does not receive treatment. Children may suffer from behavioral issues, learning difficulties and poor performance in school, and may even be more likely to be involved in the juvenile justice system. Immediate support for a child who has experienced trauma can help prevent many of the negative consequences. In some cases, the nurturing and support of parents and other family or caregivers is enough to avoid long-term harm. For those children who need professional care, mental health professionals may use cognitive behavioral therapy or trauma-focused therapies to help them learn to cope in healthy ways. Adults who experienced trauma and did not get the support they needed as children may face a number of physical and mental health issues that need to be addressed. Exactly how an adult will be treated varies and depends on their individual complications. For this reason, careful screening by a professional is essential. It can lead to the correct diagnoses and then a tailored plan for treatment. In general, for trauma and related conditions, the biggest part of treatment is trauma-focused therapy. This may be a type of cognitive behavioral therapy that emphasizes the connection between trauma and all areas of a person’s well-being. Or, it may involve more specific types of therapy, such as exposure therapy, which helps the patient face and process trauma and memories in a safe and productive way. The goals of any trauma-focused therapy are to learn about the trauma, identify triggers, work on healthy coping mechanisms, reduce symptoms, and process memories and negative emotions in a safe environment. Treatment that focuses on healing from past trauma may also include a range of services, such as creative therapies and group support in addition to traditional therapy. Patients may receive outpatient care or feel more comfortable in a residential setting. The most important thing is that they get the professional help they need to finally process and cope with childhood trauma. At Bridges to Recovery, we specialize in diagnosing and treating complex psychiatric and emotional issues such as childhood trauma. We provide compassionate and effective care in a serene residential setting so clients can focus on their treatment and recovery without the worries of external pressures and stressors. World-class clinical staff. Our expert clinical team provides individual therapy using proven evidence-based treatment modalities to treat childhood trauma.